OASE OptiMax 85i Aquarium Pump is designed for marine and freshwater tanks. It includes the fittings in the box for easy installation. With the pump's lightweight body you will have no trouble quickly placing your pump in its desired location using the suction cup feet. This pump includes a built-in adjustable flow control to adjust the water flow to your desired setting making it ideal for wavemaker applications. It is proven to use less energy and still have more output than other standard pumps. Designed using German engineering and manufactured in Italy, the OptiMax isn't like any other water pump you've used in the past. 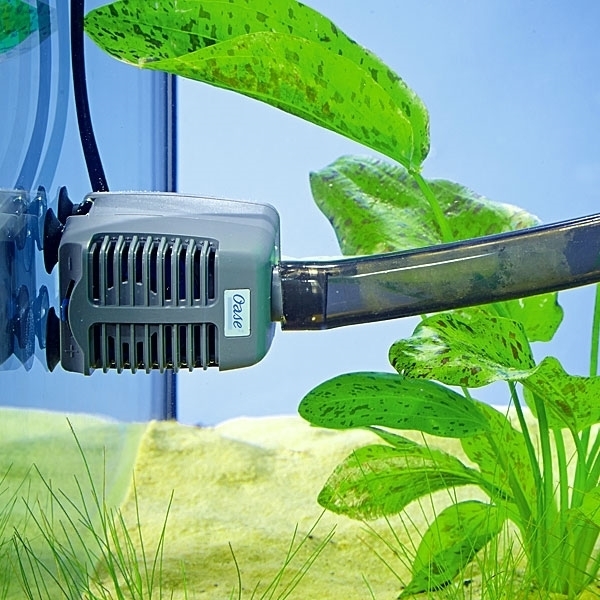 The OptiMax line of aquarium pumps allows you to have optimal water circulation and displacement with ease. This quiet operation pump is protected with an included 3 year warranty.